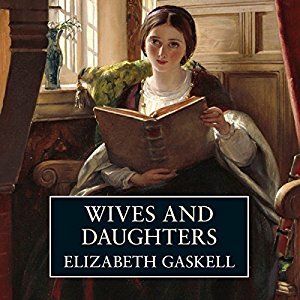 Wives and Daughters is a novel written by Elizabeth Gaskell. It was first published in series in the Cornhill Magazine from August 1864 to January 1866. This was the last book written by Elizabeth and was published after her death. Elizabeth had four daughters and a son, William, who died of scarlet fever very early. After suggested by her husband she started writing a novel as a distraction from her grief. 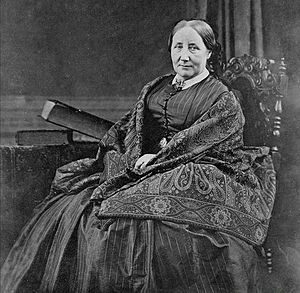 Her first novel “Mary Barton” was published anonymously in 1848. Seeing a great impact on the reading public, who widely reviewed and discussed the novel, she started writing other novels too. The subject matter of her novel depicted the appalling status of the poor during those days in Manchester and this awakened the conscience of the nation. Elizabeth was a versatile writer who wrote on varied subjects in her short stories. Her subject matter ranged from social pragmatism to ghost stories. Her major works are Ruth, Sylvia’s Lover, North and South, Cousin Phyllis and Wives and Daughters. The last one was left unpublished because of her sudden death due to heart failure. 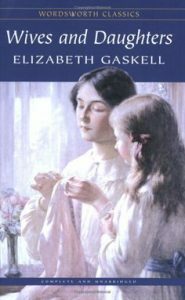 Elizabeth’s other novels took social questions like class disputes in “Mary Barton” and “North and South”, problems of a fallen woman and her illegitimate child in “Ruth”. 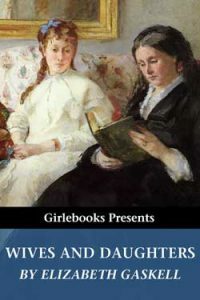 In “Wives and Daughters” she presents a collection of brilliant characters forming the novel. The story depicts the joys and griefs of the people of an English town along with the story of growth and change in the story of a young girl. The story surrounds a little girl, Molly Gibson. She lives with her father and is a happy little girl. Only friends and acquaintances are there in her life when her father remarries, a step-sister comes into Molly’s life. She is lovable but worldly and a disturbing one. The novel covers the development of the two girls in the gossiping and watchful English society of that time. Molly has a special attachment to her father and this remains persuasive and prominent as she grows. Molly considers her father a man among men, a person who can be trusted and relied upon in any situation and the wisest judge. Mr. Gibson is a doctor by profession, educated and respectful of life. He is a caring and honest man. For the benefit of Molly and himself, he remarries so that Molly has a mother again and he will have a wife and domestic harmony as well. Molly learns to control her temper as she grows and with the advice of Roger Hamley, she tries to think about others more than herself. This addresses the issue of death of the self – a common trend of that time when most women had to surrender herself – her comfort, her desires and sometimes, both. Wives and Daughters don’t include the poor condition of the social life those days. 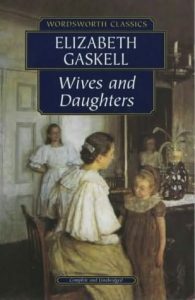 Gaskell enjoyed portraying romantic relationships in her novel, but here no passionate attachment or love at first sight is seen. Here arbitrary and consuming love is seen that turns into disillusionment. This is a contrast to mature and deeper love that is based on slow pace and selflessness. The main themes of the novel are the role of women, the concept of Englishness (including literary and social context) and Darwinism. When Gaskell died in 1865, the novel was not complete. Frederick Greenwood, her editor, who had an idea about what Gaskell was planning to write, completed the remaining story.